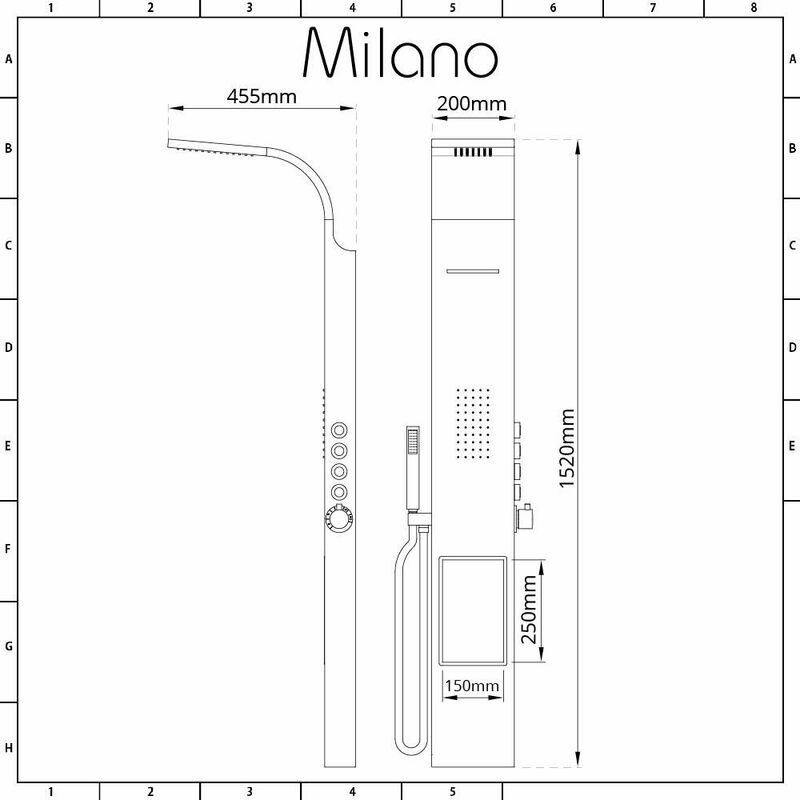 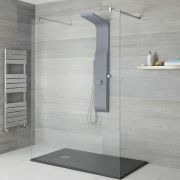 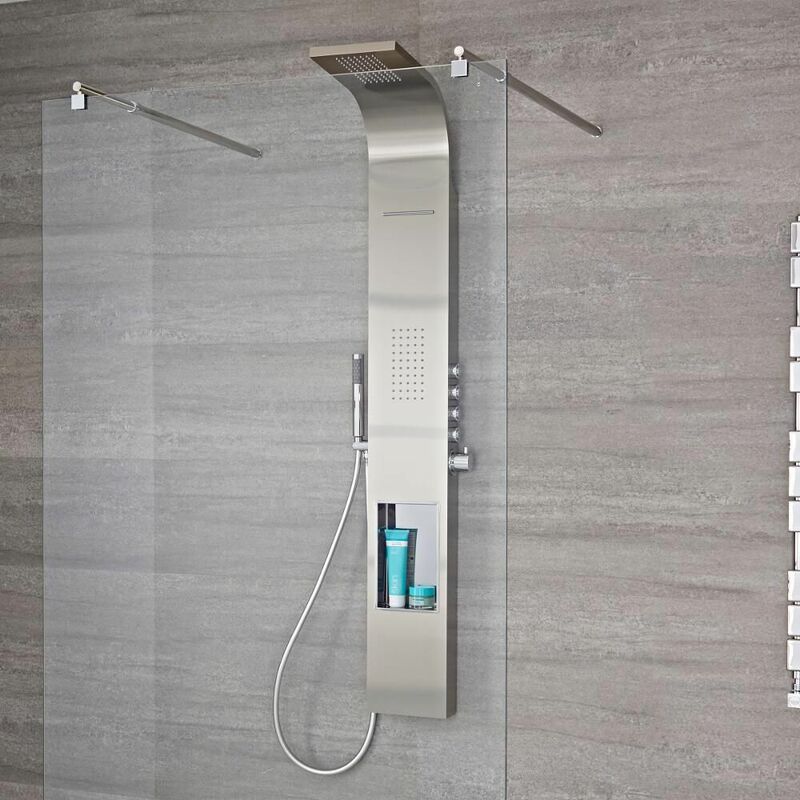 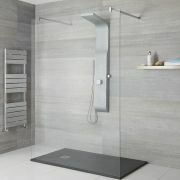 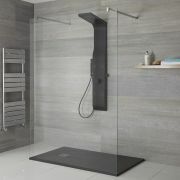 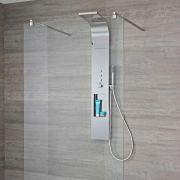 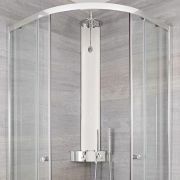 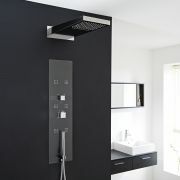 The Milano Vista thermostatic shower tower delivers a superb showering experience. 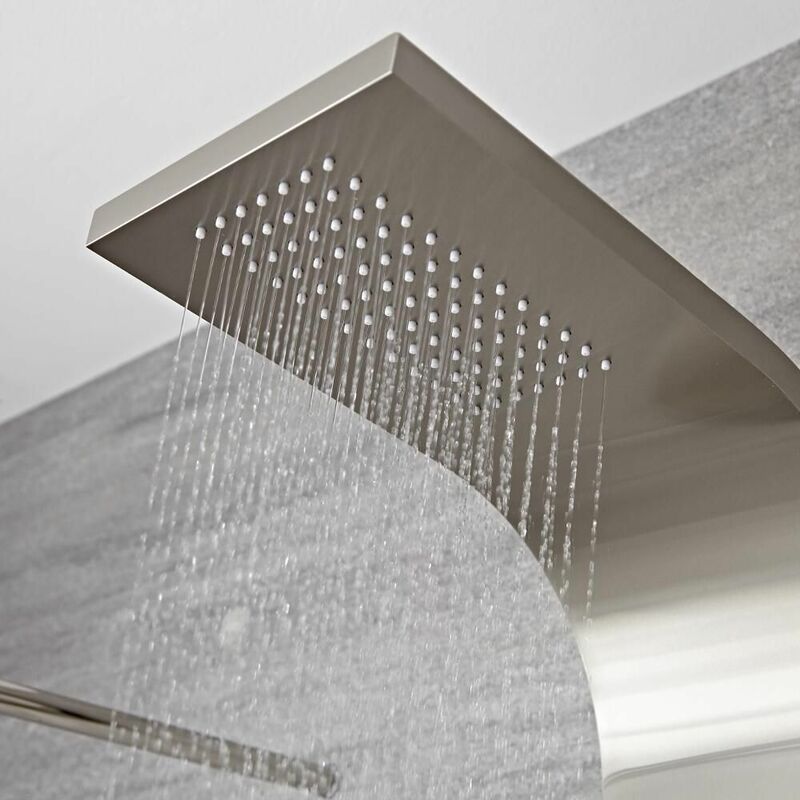 Featuring a brushed stainless steel finish and a stainless steel construction, this shower panel is sure to add designer style to any bathroom. 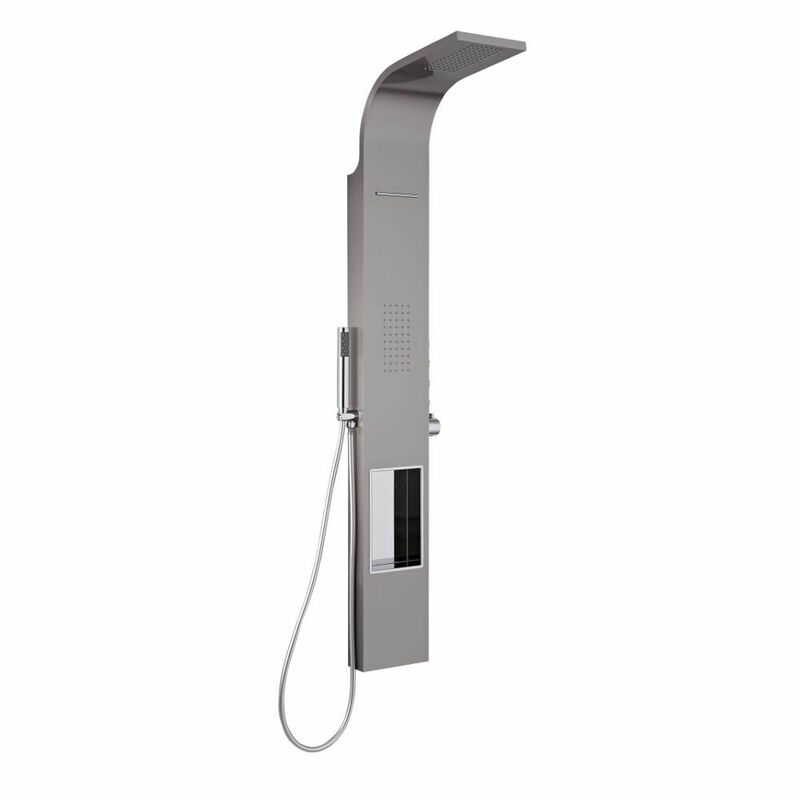 It incorporates a large shower head and body jet, and includes the handshower. There's even an integrated shelf so you can keep toiletries within easy reach. 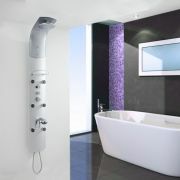 The shower tower has push button controls, so you can switch between the different functions with ease.